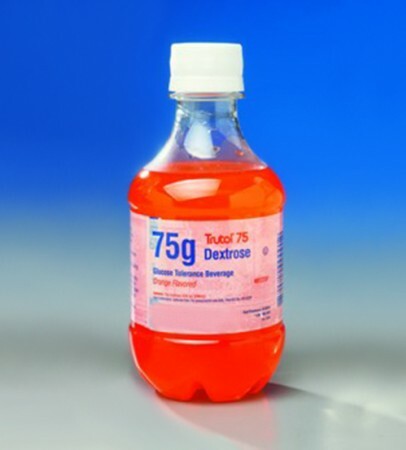 The glucose tolerance beverage is used to screen for hyperglycemia (diabetes mellitus and gestational diabetes) and hypoglycemia (low blood sugar). The patient receives a precise dose of glucose and the glucose level in his or her blood is then tested at specific time intervals. The plastic bottles feature volume graduations imprinted on the label to aid in dispensing smaller quantities. The non-caffeinated, non-carbonated beverage is manufactured to meet FDA standards.